Citing "recent demand change from a major consumer customer," Austria-based AMS on Wednesday reduced expected revenue to between $480 million and $520 million, down from estimates of $570 million to $610 million provided last month, for the important holiday quarter, according to Bloomberg. AMS supplies Apple with ambient light sensors for iPhone. A similar explanation was offered by both Japan Display and Lumentum, suppliers of iPhone screens and Face ID 3D sensors, respectively, when they slashed forecasts on Monday. Chipmaker Qorvo, which supplies iPhone RF hardware, also forecast reduced earnings this week. While there is no hard evidence of a drawdown in iPhone orders or a weakness in sales of the devices, reduced earnings estimates from key providers have stoked concern about the health of Apple's handset business. Component pricing, supplier diversification and Apple's overall manufacturing strategy create a muddled calculus for analysts to parse, meaning perceived weakness from certain production partners might not necessarily equate to lower sales volumes —and has not in the past. That said, Apple has struggled in recent quarters to boost iPhone sales as major markets become increasingly saturated. Last quarter, Apple's iPhone sales were up by a single percent year-over-year, and came in flat for the just ended fourth quarter. At the same time, the market as a whole is contracting, and Apple is one of the few vendors to effectively hold ground or lose less ground than the contraction percentage. Apple added fuel to concerns over plateauing iPhone growth earlier this month in announcing it would no longer report unit sales for iPhone, iPad, and Mac. Unit volumes are used by analysts to calculate average selling price and gauge demand for Apple products over time. Without these figures, market watchers are left to speculate based on supply chain intel, information that is circumstantial at best. Amidst the immediate slowdown in unit growth, Apple has managed to substantially bolster revenue not by reducing prices, but by increasing them. The plan has been successful thus far, with the premium priced iPhone X goosing ASPs to an all-time high of $793 in quarter four. That trend is expected to continue with XS, XS Max and the "mid-tier" iPhone XR, which starts at $749. It remains to be seen whether the XR will be the home run Apple bulls were hoping for. Initially predicted to be the most popular of Apple's 2018 iPhone lineup, recent estimates cast doubt on the handset's market performance. 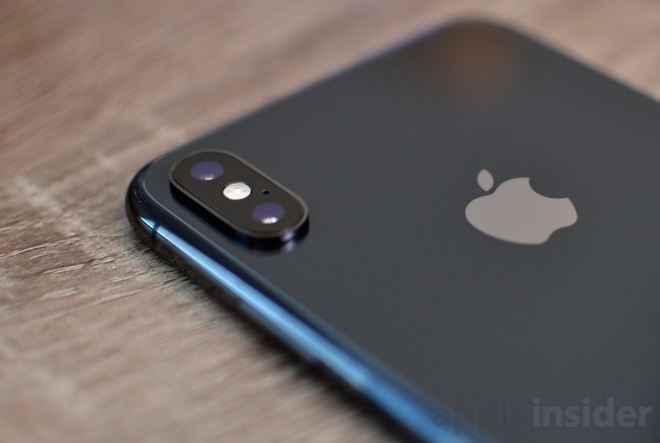 On Monday, TF Securities analyst Ming-Chi Kuo became the latest analyst to cut XR sales predictions to 70 million units, down from 100 million units expected in October. He cited the looming trade war with China, customer anticipation of a next-gen XR and increased competition as factors in decreased demand.